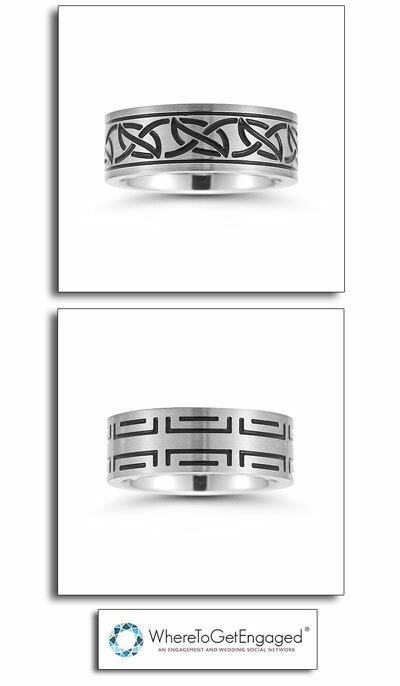 Guys – here’s a chance to win one of these unique tribal tattoo-inspired stainless-steel rings. Not available in stores, Novell’s TATU rings are perfect for every day wear. Available in sizes 7 through 14 (and in half sizes), you won’t be able to win rings like these anywhere else. Choose from one of five featured styles. There will be five winners total. Must be over the age of 19, and a US citizen. No purchase necessary. Suggested retail price for each design is $69.99. Enter today. 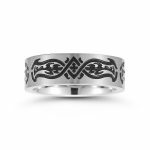 Our Unique Tribal Tattoo Ring Giveaway ends Wednesday, June 27, 2018. See official contest rules below for more information. This contest is brought to you by Novell’s Custom Shop division. If you are looking to have an everyday ring, engagement ring, wedding ring or piece of jewelry special designed, Custom Shop can help. Interested jewelers can call 888-668-3551 for more information. Consumers can contact one of our authorized retailers and tell them you want Custom Shop to make your jewelry dream come true. 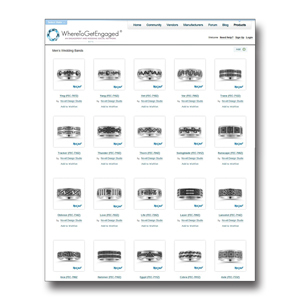 Wedding blog features stainless steel rings. Wedding blog “With This Ring” featured designs from Novell’s new TATU collection. 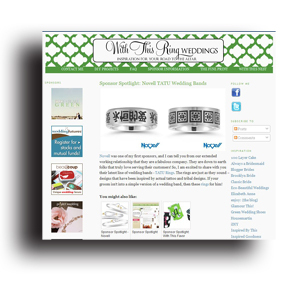 View the Tatu ring post on With This Ring – Sponsor Spotlight: Novell TATU Wedding Bands. 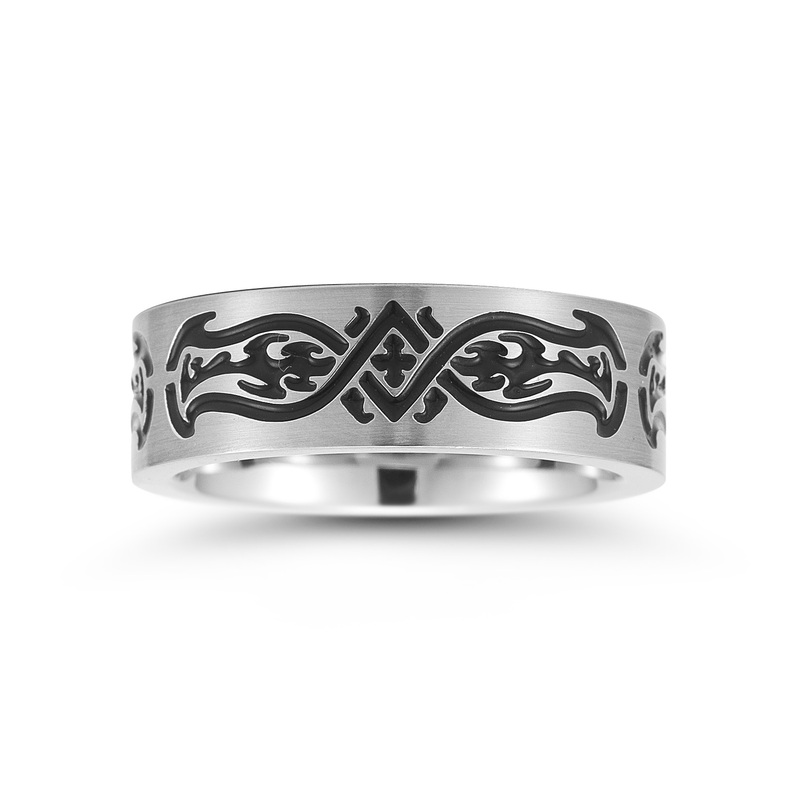 Stainless steel ring with tribal tattoo design. 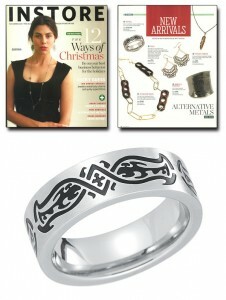 The November 2010 issue of jewelry industry trade publication In Store featured new Novell TATU ring design Armour (FEC-717Z) – a stainless steel style inspired by actual tribal tattoo themes. 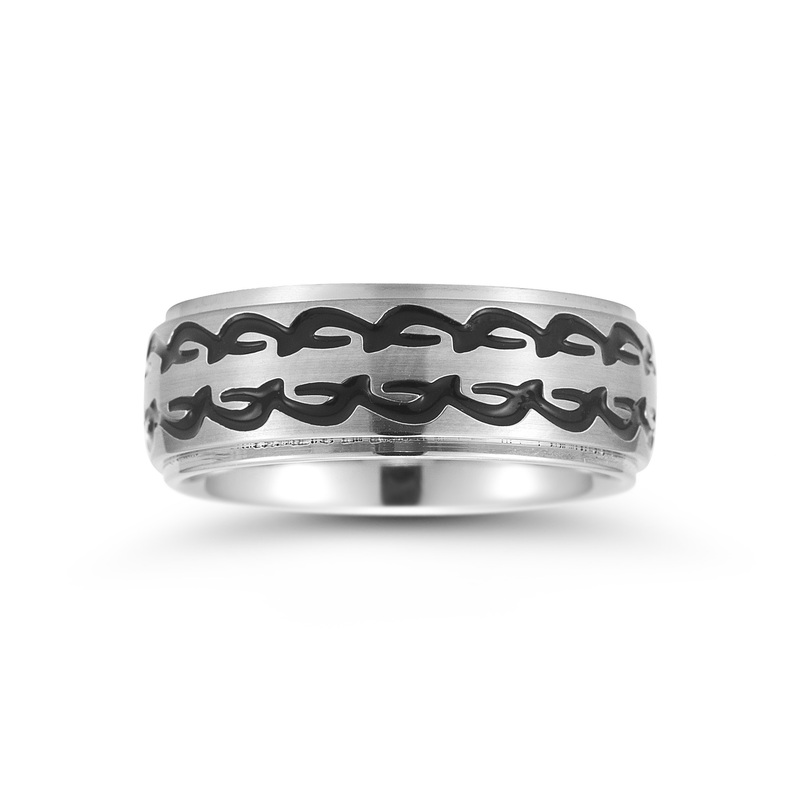 This post was also featured on The Wedding Ring Blog. Stainless steel rings are affordable and easy to take care of – all you need is some mild soap and a soft cloth. Stainless steel is the alternative to other alternative metals such as tungsten, titanium and ceramic. Stainless steel is also durable and even can be sized a little bit if need be. You can not size a tungsten ring very easily. 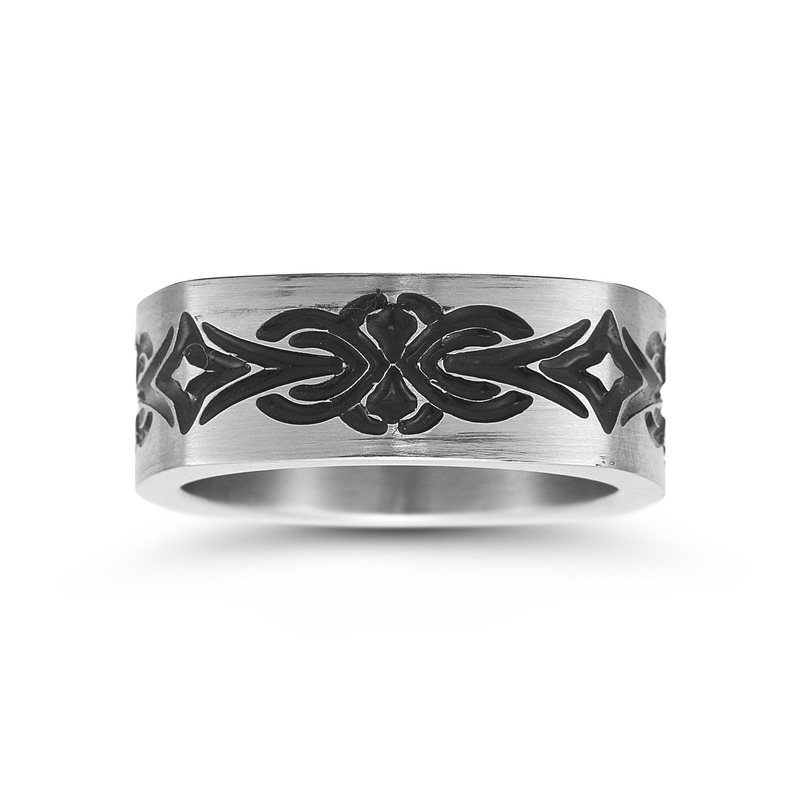 Stainless steel wedding band with black tattoo-tribal theme. 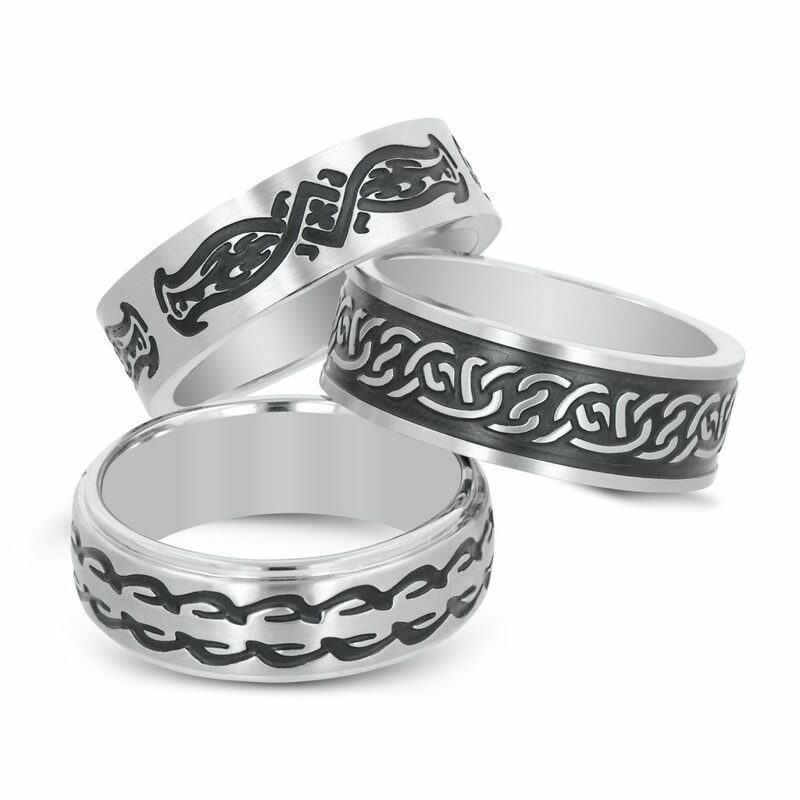 Novell introduced new stainless steel TATU rings at the 2010 JCK Show in Las Vegas. 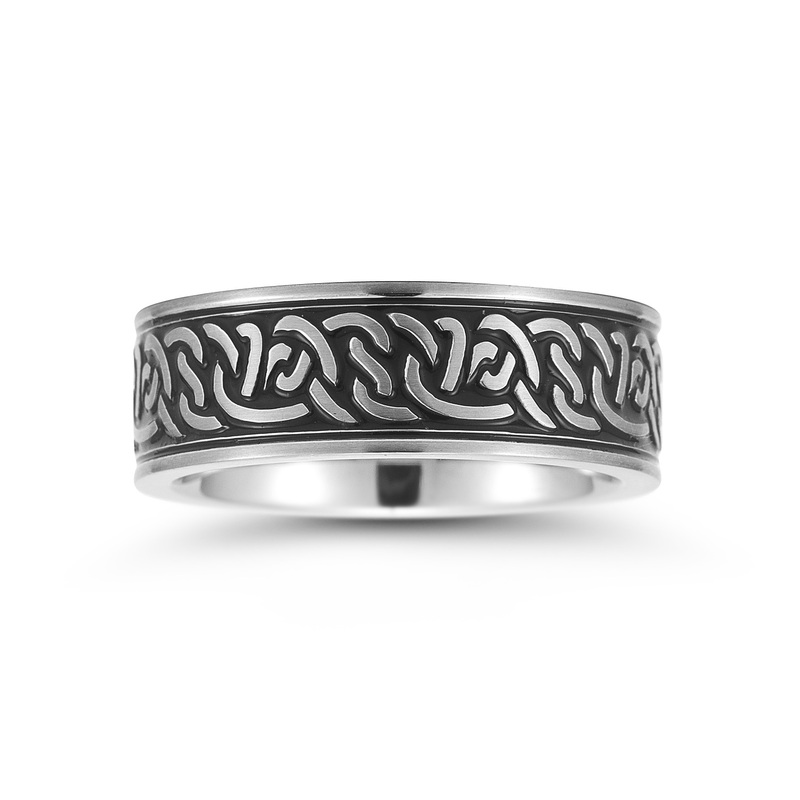 This design is pictured in stainless steel, but similar designs are available in other metals as well. 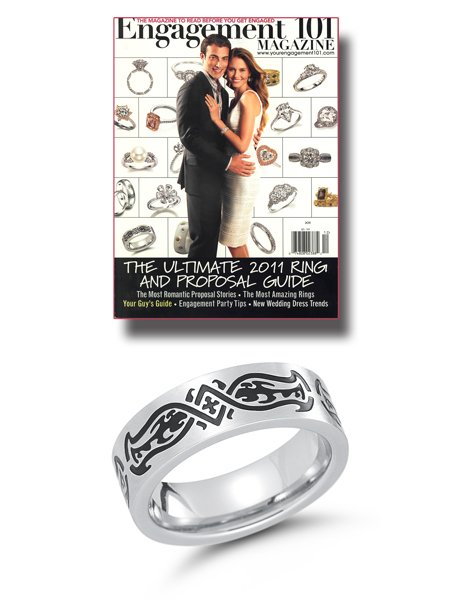 Ask the authorized Novell retailer in your area about TATU rings. 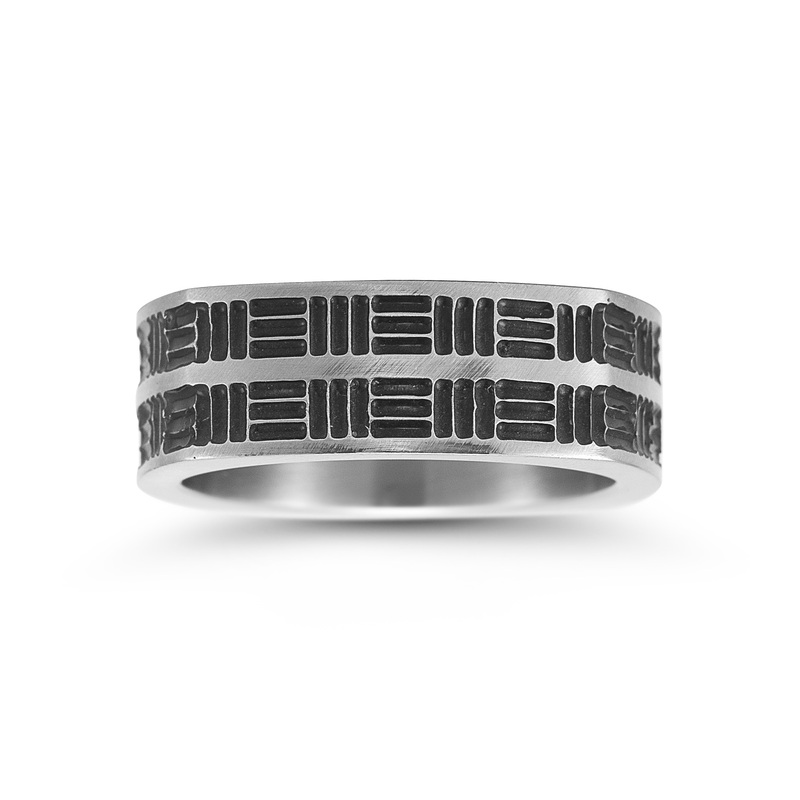 See this stainless steel ring at another angle. Stainless steel TATU rings featured on The Wedding Ring Blog. 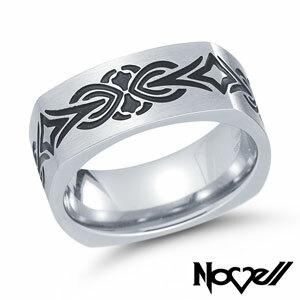 Stainless steel wedding rings by Novell. 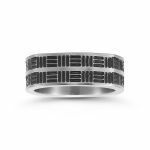 The Wedding Ring Blog, a blog that reports on the latest wedding ring and jewelry trends that has become fairly popular, has been highlighting Novell’s new TATU rings. A new ad for TATU rings will soon debut in the jewelry industry trade publication In Store. 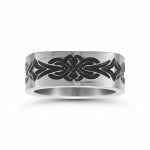 Read Stainless steel wedding rings with tribal/tattoo themes.